Converters, adapters and extension tubes All those lens accessories that get in between the lens and the camera. I was checking the firmware for my cameras and lenses and when I attached the MC-14 it didn't show in the updater software. Is this because it doesn't have firmware or do I have an electrical connection problem? I would be grateful if somebody could check their MC-14 to see if shows in the updater. I was checking the firmware for my cameras and lenses and when I attached the MC-14 it didn't show in the updater software. Is this because it doesn't have software or do I have an electrical connection problem? Just tried it attached to my 40-150mm and the MC-14 does not appear so I assume it has no firmware. All the updater shows are the lens and the body. I don't know if this is relevant. When my 4/3 50mm is on the camera, and then I attach the x2 TC, the selected aperture displayed remains unchanged. This suggests that the presence of the TC is detect so as to open the diaphragm accordingly. The presence of the TC is not indicated directly. The MC14 is a 'dumb' device (old computer terminology) & relies on the lens to report it in use. 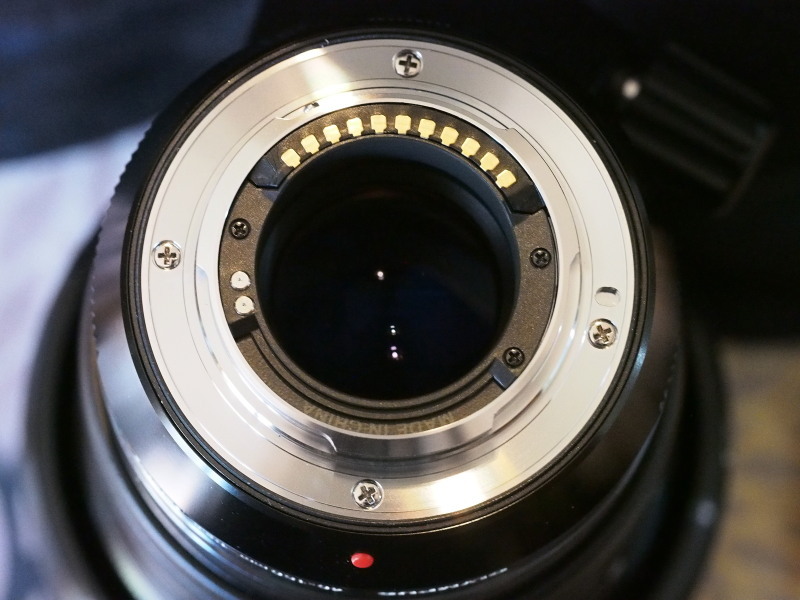 The lens connections (40-150 in this case) has two extra contact pads as seen here. The MC14 has one corresponding pin to connect to one of them & when the MC20 comes it will likely connect to the other pad, but if a third should come then it could use both pins as there is a total of three possible combinations with two connection points. Here is the photo of the MC14 showing that extra pin. The Panasonic TCs also use this method but aren't compatible with Olympus as they have their extra contacts in a different position. 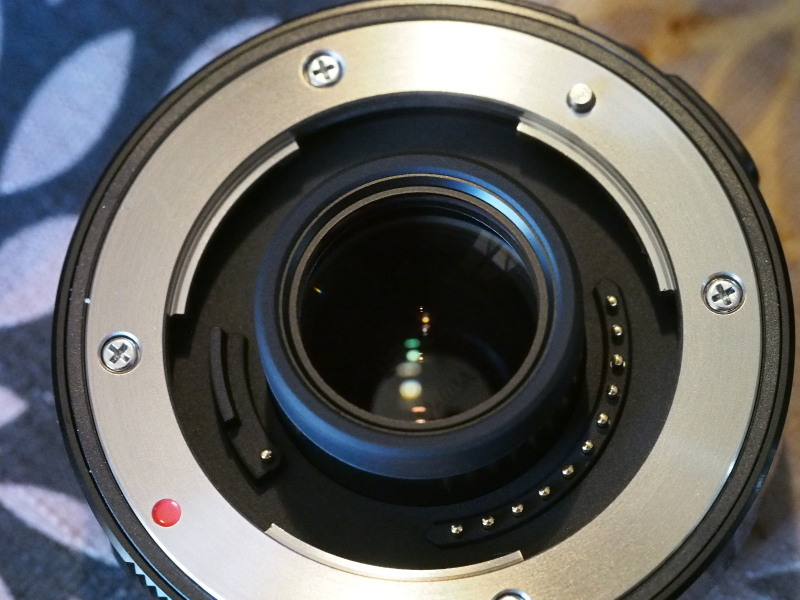 Also there is that 'Made in China' channel area of the lens that the raised section of the TC next to that pin fits too. As far as the 4/3's DSLR EC14, EC20 & EX25 goes, they are intelligent devices that do have firmware levels in them with all at 1.1 firmware.